Welcome to the OpenAIRE Guidelines. The intention of this is to provide a public space to share OpenAIREs work on interoperability and to engage with the community. The OpenAIRE Guidelines helps repository managers expose publications, datasets and CRIS metadata via the OAI-PMH protocol in order to integrate with OpenAIRE infrastructure. Related publications, datasets, software etc.. The OpenAIRE Validator service is integrated in the Content Provider Dashboard and allows to test your repository’s compatibility with the OpenAIRE Guidelines. If validation succeeds the data source can be registered for regular aggregation and indexing in OpenAIRE. 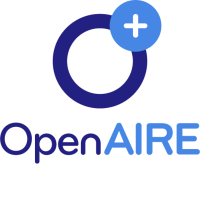 OpenAIRE allows for registration of institutional and thematic repositories registered in OpenDOAR, research data repositories registered in re3data, individual e-Journals, CRIS, aggregators and publishers. © Copyright 2015, OpenAIRE. This work is licensed under Creative Commons Attribution 4.0 International.